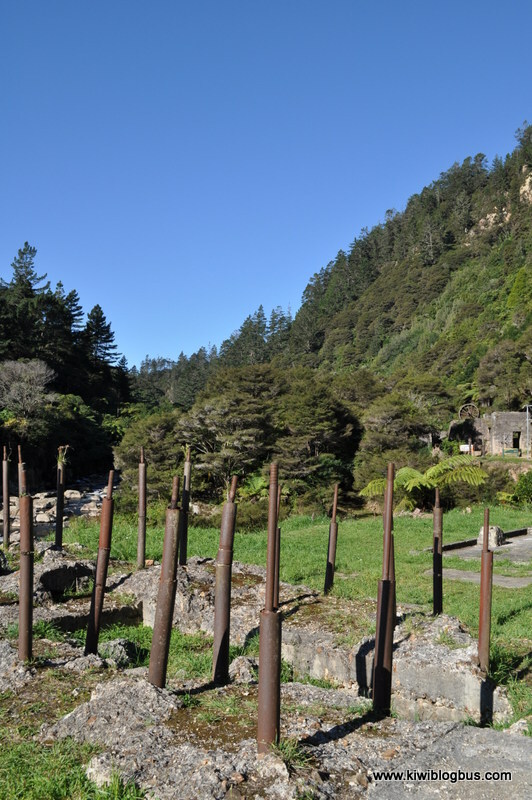 We have often visited Karangahake Gorge to enjoy its natural beauty and gold mining history, but on a recent trip away in the Kiwi Blog Bus we got to camp right in the middle of this wonderous area and discovered a lot more on our explorations. 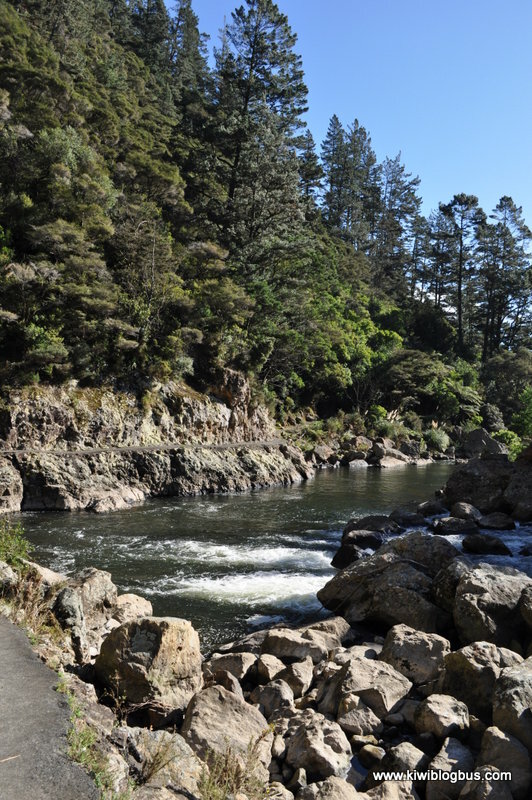 The gorge is found on State Highway 2, between Waihi and Paeroa, at the southern end of the Coromandel Peninsula. 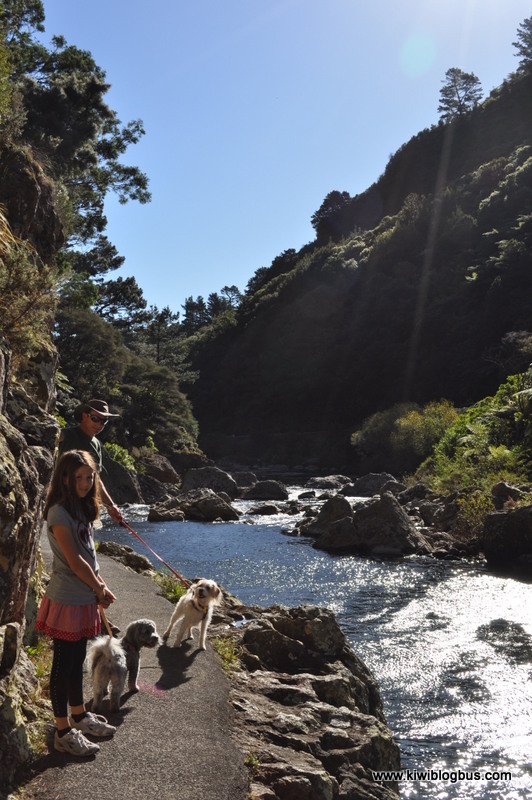 The Department of Conservation’s website provides details of the many walks within the area, from easy-going wheelchair accessible tracks to steep and rugged walks on Karangahake Mountain. 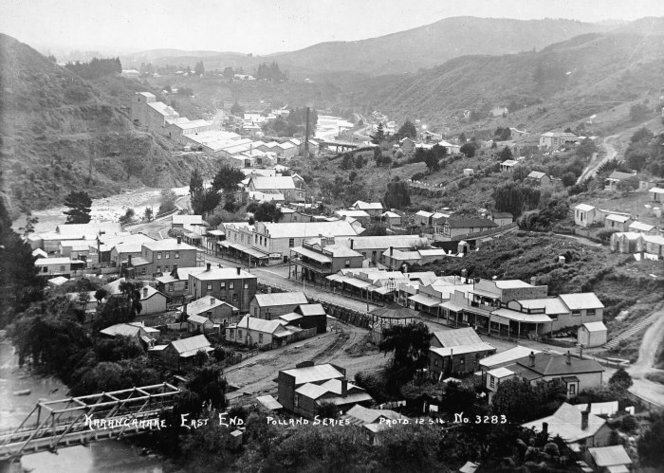 The walks encompass many historic sites and relics of gold mining are scattered in the hillsides and rivers around you, making it very easy to picture what it was like in those by-gone days. 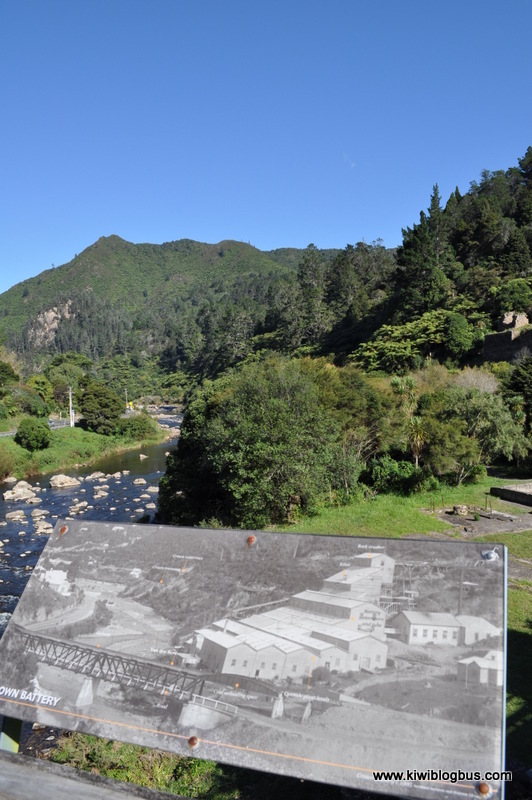 Hard rock gold mining began in the Karangahake gorge in 1875 and a small town and processing plants soon sprang up in the surrounding area. 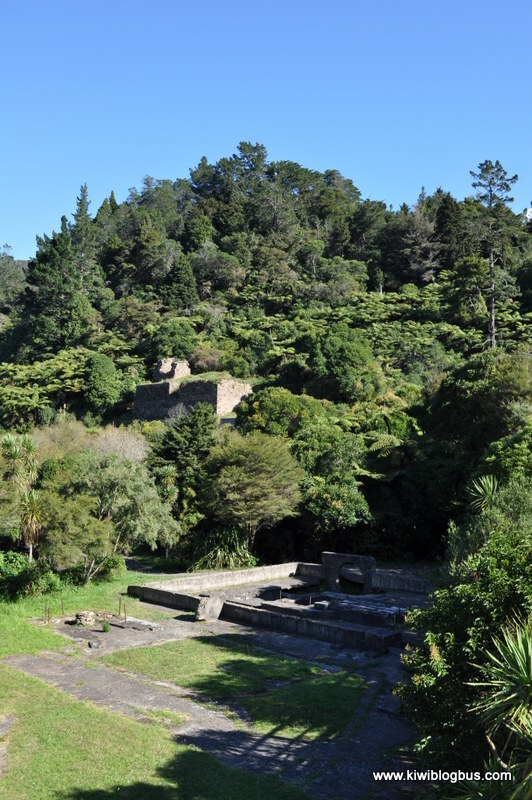 The gold was mined from an underground network of mines which went deep inside the mountain. 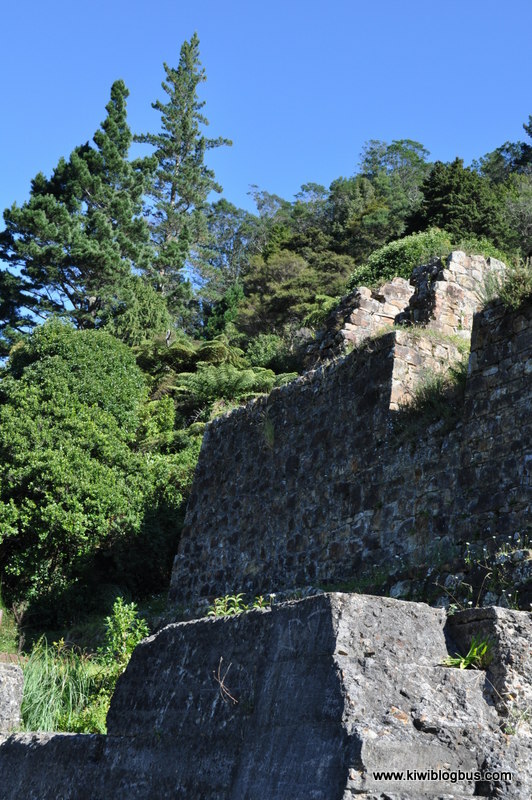 The gold, in the form of quartz, was taken by tramway to be crushed and treated before the gold could be extracted. 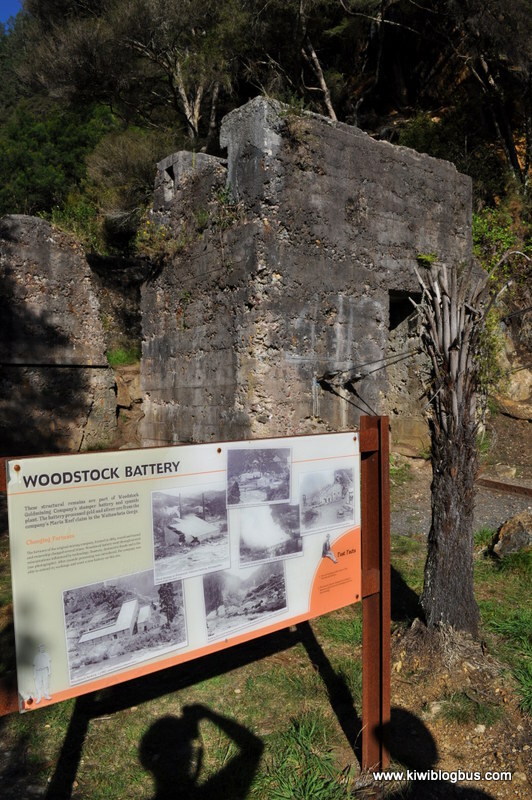 A new process using cyanide was developed and three large batteries; Crown, Talisman and Woodstock, were built at Karangahake in the 1890s. 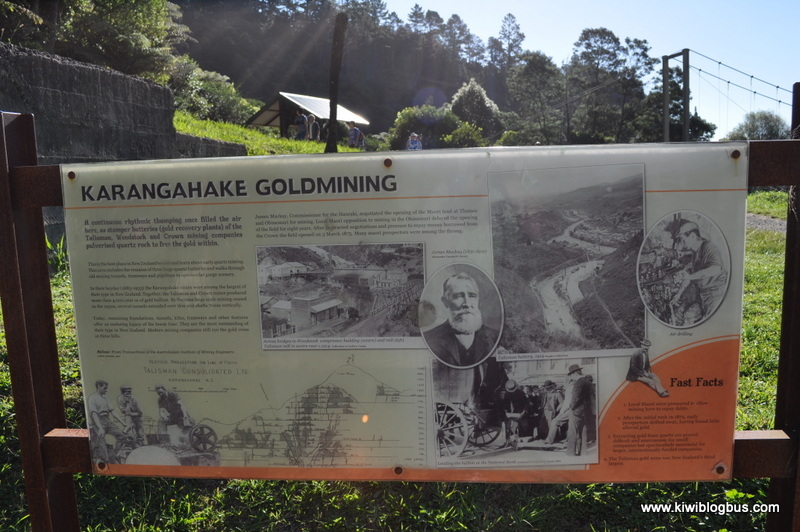 In 1909 the Karangahake mines made up 60% of the total gold produced in New Zealand. 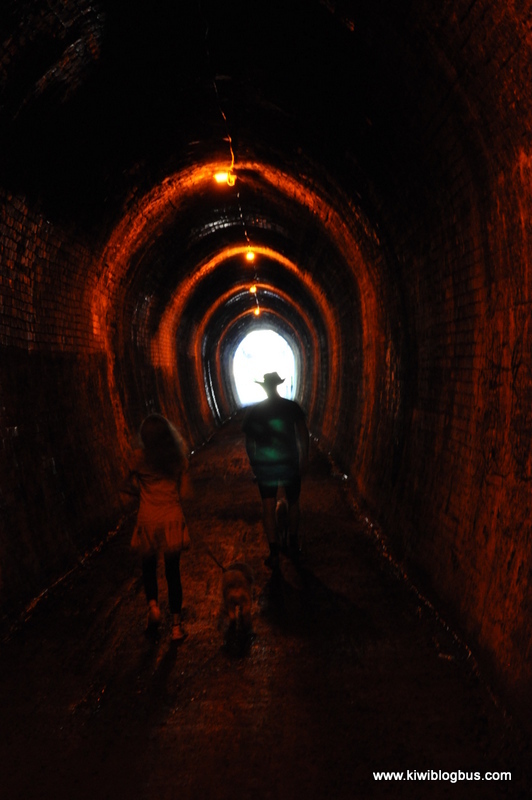 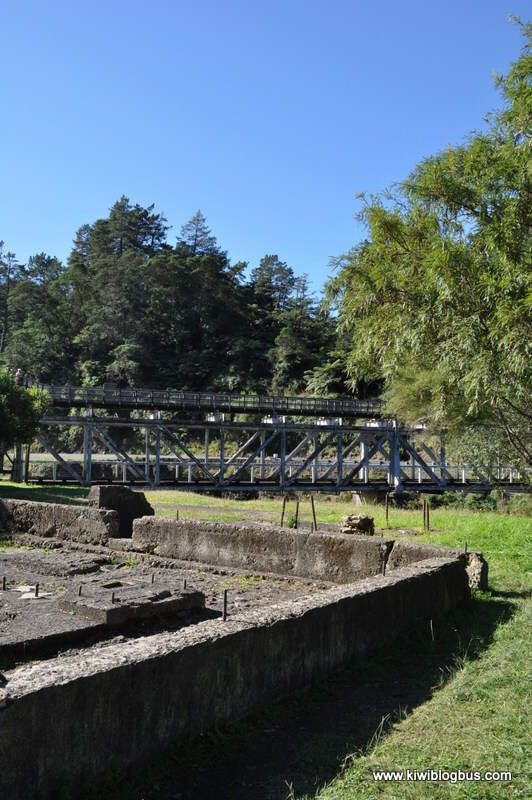 These days the township is long gone but visitors can walk along old bush tramways, through old gold mining tunnels (torches advised), have a dip in the Ohinemuri river and even bike through the 1km long old railway tunnel (part of the Hauraki Rail Trail). 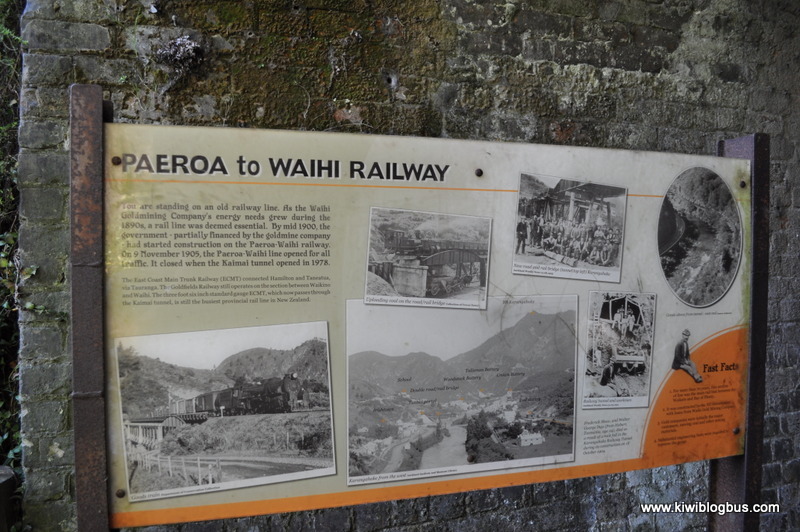 This post covers our first walk which was from the Crown battery through the railway tunnel and back on the historic walkway along the river. 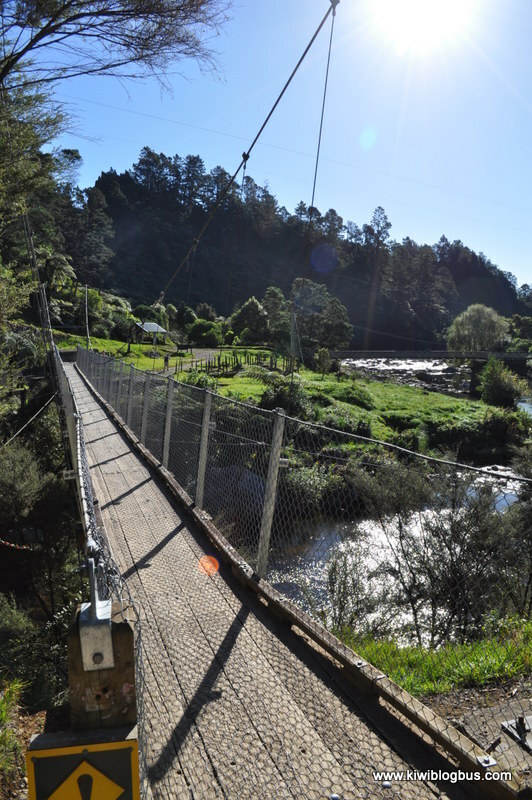 One of the many swingbridges you need to walk over – they have weight limits and can get a little wobbly! 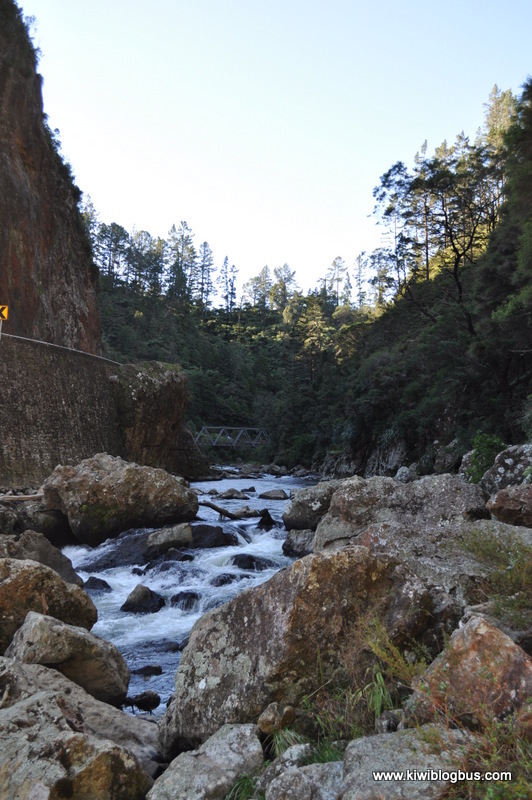 Fond memories of this spot.